From robust cities to time-honored villages; from the rich cultural traditions of the central mountain hill tribes to the rice fields of the Mekong Delta, Vietnam today is vibrant, spirited and warmly welcoming. 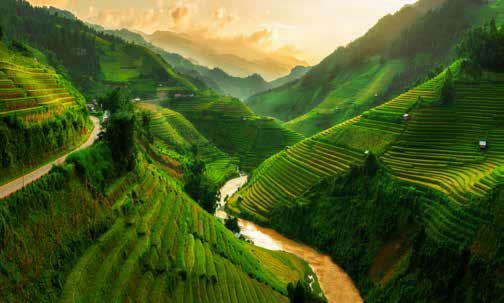 Vietnam embodies two distinct personalities. 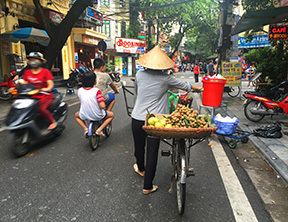 One is exemplified in the timeless rural landscapes of the Mekong Delta where farmers rely on traditional techniques to grow and harvest rice; the other is the constant frenetic motion, such as found in the swarming, bustling streets of Hanoi where scooters, cars, and rickshaws meld into a nonstop blur of activity. This country has worked diligently to reinvent itself for the future while respecting its past. Like much of Asia, Vietnam is struggling to balance the benefits of modern innovation with centuries-old customs that are the foundation of its society. One positive outcome of this renaissance has been the development of luxury accommodations that are the equal of any in Asia or beyond. Vietnam possesses more than 2,000 miles of coastline along the South China Sea dotted with sophisticated beach resorts. The scenic perfection of the calm, blue-green waters of Halong Bay and its thousands of monolithic limestone islands makes an ideal setting for an overnight journey aboard a traditional-style Chinese junk. Undoubtedly, Vietnam has become a destination with a growing international fan club. Discover Indochina with its remarkable landscapes, amazing cultures and welcoming people as you experience a Vietnamese cooking class, Cambodia's remarkable Angkor Wat and Loas' rural lifestyles. Experience traditional lifestyles and exquisite natural attractions of Southeast Asia. 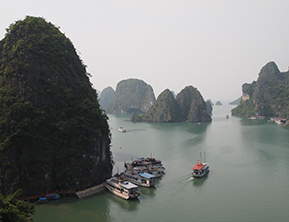 Cruise Vietnam's scenic Halong Bay, with its thousands of limestone islands, stroll the busy lanes of Hoi An, and Cambodia's ancient temples of Angkor Wat. Explore Luang Prabang, Laos, an enchanting town that is a UNESCO World Heritage Site for its wealth of historic temples and colonial-style buildings.